I have two daughters under the age of 5. Disney princesses are big around here. I love the way my oldest daughter loves to fully embody characters, acting out favorite scenes in movies, and belting out songs. Naturally, she loves to dress the part. 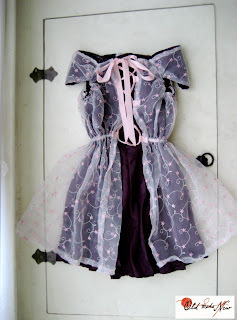 I don't love the ridiculous prices of princess dresses, especially since the cheap fabric often loses its elasticity and pills up or the way the seams often fall out. I also am trying to be conscious of how much I allow my kids to be branded. I would like them to be content with what they have and not get used to having what marketers tell them they need. I try to repurpose and use up scraps as much as possible. 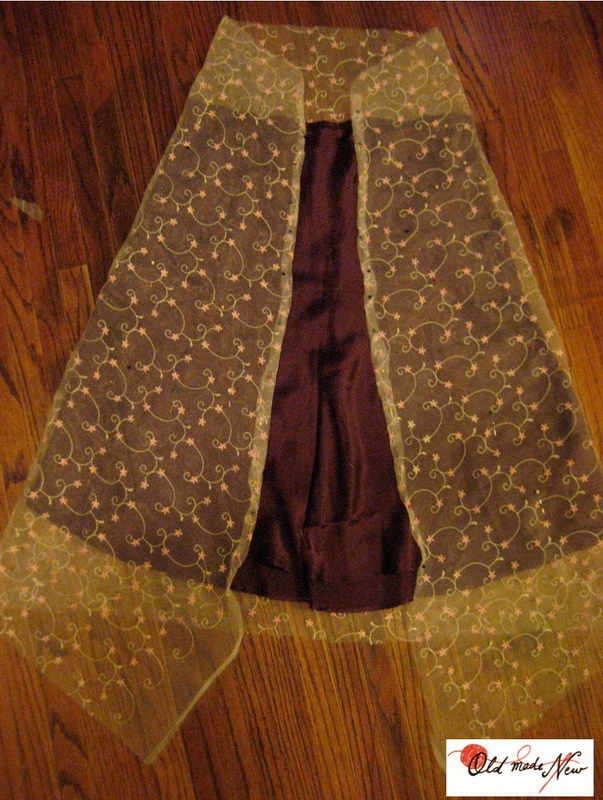 My daughter got really into Tangled last year, and I knew that she'd love a dress to match the long golden locks she was blessed with. 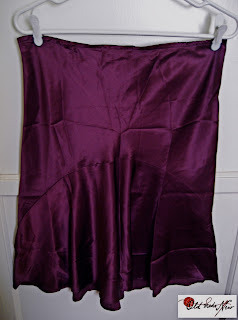 I started with a plum skirt that I haven't worn in years. A skirt that hits below my knees will be a long dress on her. 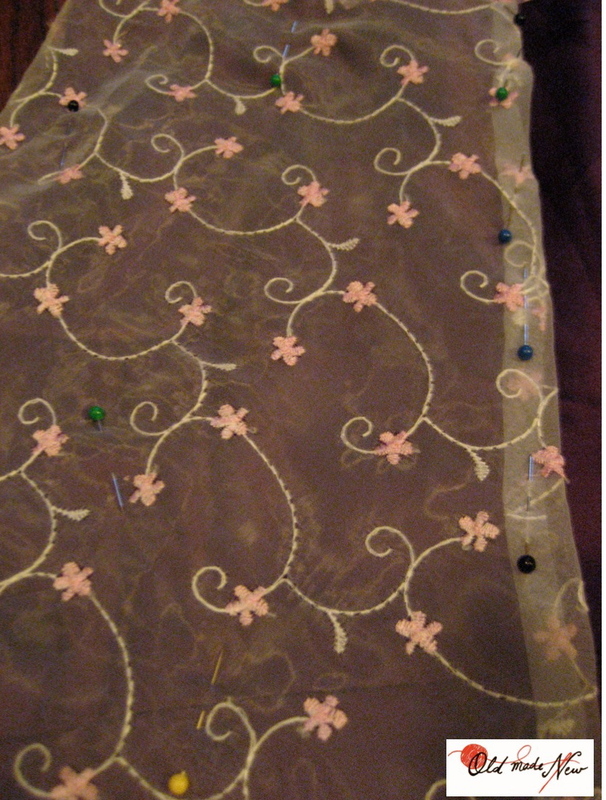 I had a remnant of a sheer white fabric with embroidered pink flowers on it that I used as an overlay for the dress. 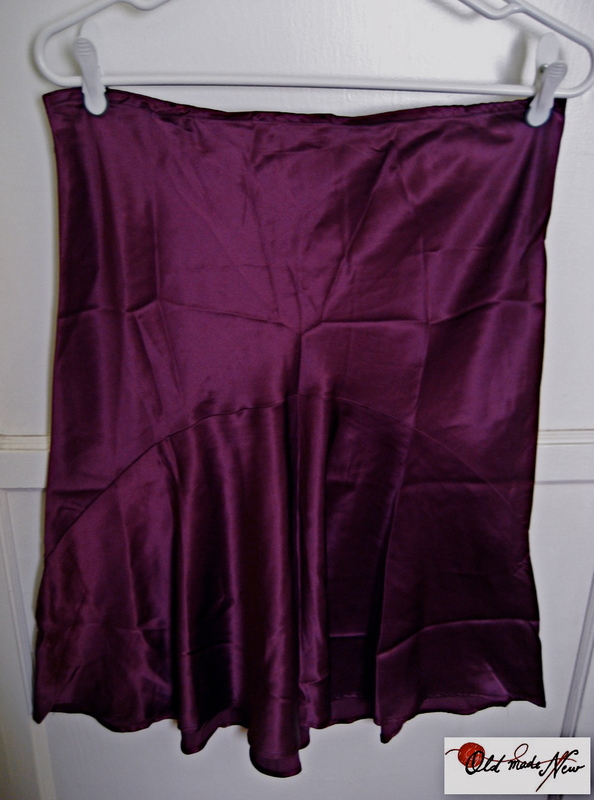 I laid out the skirt and wrapped the printed fabric around it, folding and draping as needed to achieve the look I was going for. After I had the fabric laid out how I wanted it, I cut and hemmed it along the two sides in the front and, eventually, on the bottom of the dress. 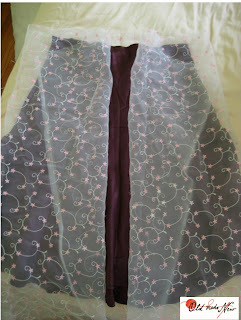 I pinned the overlay fabric to the skirt in a lot of places so that it stayed right where I wanted it while I did the hemming. 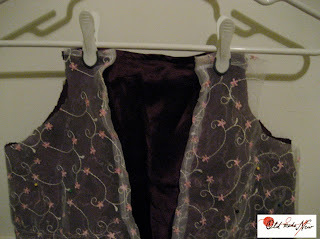 Then I cut out armholes, using the scraps to make capped sleeves. I put in an elastic casing so that the dress would have a defined waist and be easy to put on for a 4 year-old and comfortable to wear. 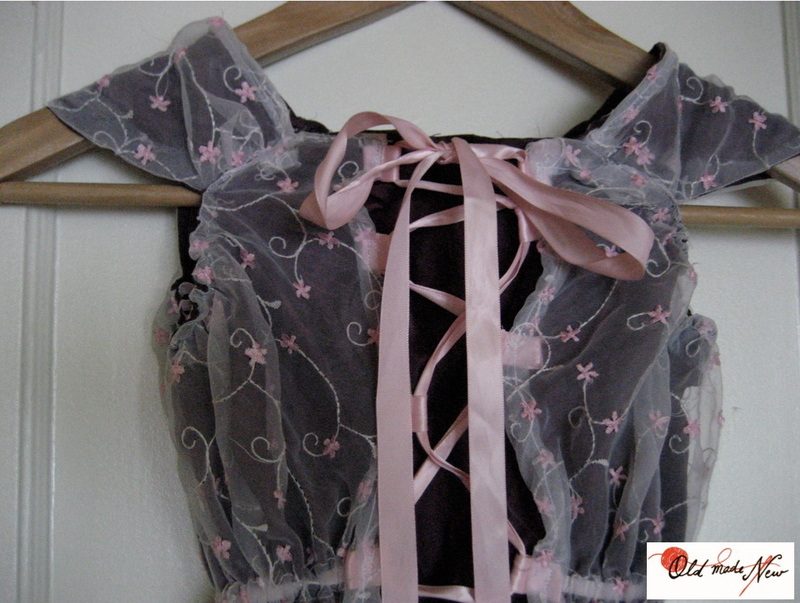 I sewed little loops to the bodice of the dress and threaded ribbon through them to tie a bow at the top. 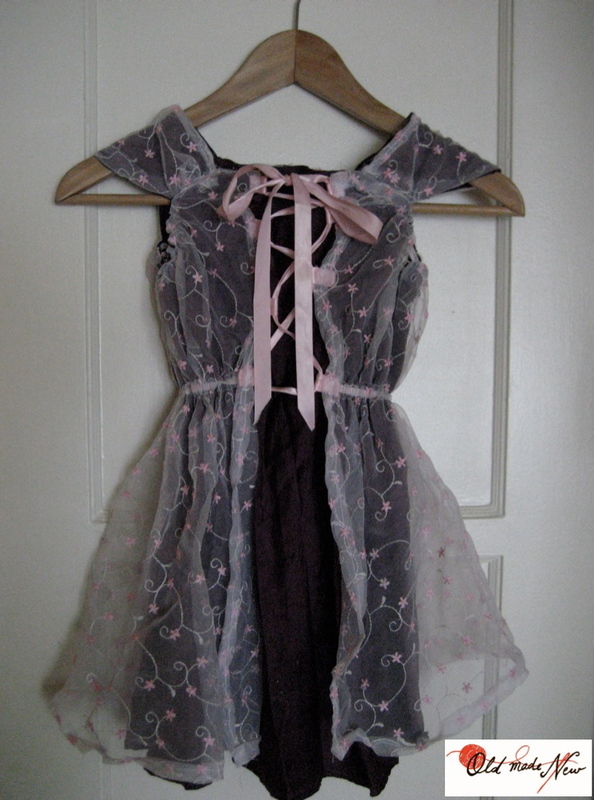 The ribbon is functional and helps the dress to fit my 4 year-old and her very petite 2 year-old sister. 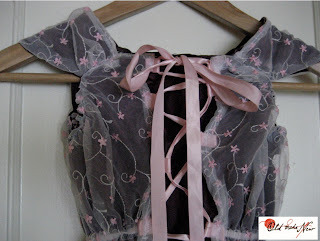 I know that she won't believe in fairy tales forever, so I'm happy to help her live inside of them for a little while.